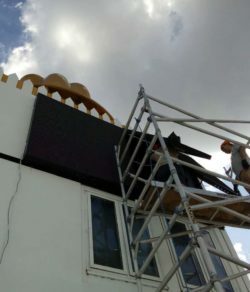 We come out and fix/repair exsiting LED sign at reasonable price. At Sydney LED Signs, we have helped thousands of shops and places set up EYE-CATCHING showrooms / shop fronts and STAND OUT from other businesses and competitors. 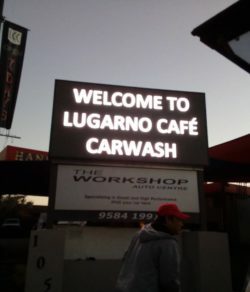 As a LED specialist located in Sydney, we are proud to offer cutting edge animated led sign，indoor and outdoor LED screen, scrolling LED sign ,led light box , especially, LED signs and LED lightings, at the best market price.We come out and fix/repair exsiting LED Sign or do maintenance at reasonable price,all jobs garanteed.Not only do we offer high quality products but we also try our best to meet your needs and expectations! Pricing is very important. Generally in western countries, they are heavily priced, but if you get one from China or India, they tend to be cheaper,The pricing also depends upon various factors – chiefly being the size, and color. The white color displays tend to be costlier, and so are two-colored, but multi-colored displays are the costliest of all. They come in many sizes, some huge panels almost as big as a wall, and other table-tops displays. The best are the ones that one can see from about 25 feet away, because they are neither too exaggerate or too small. They have the optimum size. They do not overpower your windows, nor do they lighten the effect of your other banners. They add to your shop/store. Scrolling signs/ Led displays are easy to maintain. They do not consume much electricity, and since they do not carry components that get hot (like transformers etc.) they do not tend to get burned. The only caution you must practice is to read carefully the manufacturer’s instructions about their usage, and comply with them accordingly. The most important point to keep in mind is the input voltage. Please use the scrolling board according to the input voltage as specified in the user manual. Higher voltage than prescribed will burn the components at once.We come out and fix/repair exsiting LED Sign or do maintenance at reasonable price,all jobs garanteed. All in all, the led displays can alter for better the advertising potential of your store/shop/company, and with the rising competition in the market to attract shoppers; you must add a sleek looking led display to your store window. We guarantee the best prices for all our products in Australia.